For me white is peaceful, its calm, its clean and fresh. 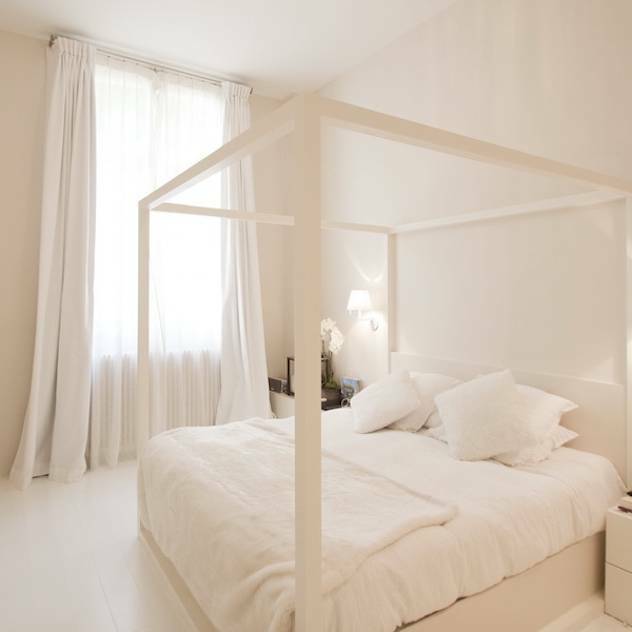 I can’t think of a better room more suited to white than the bedroom. We spend a large proportion of our time in our beds, ok so a lot of that time we are asleep, but increasingly more and more people are making this once forgotten room in the home, into a haven. Taking to their beds to watch films, to socialise on line on their tablets and PC’s, people are realising the potential of the space and decorating it like they would their living room or kitchen. When considering interior design ideas, for some people white can be too clinical and cold but there are so many shades of white paint available, you can very easily layer the different colours on painted furniture and walls to bring a feeling of warmth. I also add texture to my all white rooms by adding throws, pillows, rugs and accessories. Beautiful velvets, knits and faux furs for the winter and changing them in the warmer months to silks, linens and cottons. There are so many Bedroom Decorating ideas available today. 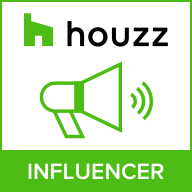 I particularly love on line sites like Pinterest, homify and Houzz. All of which are a great source of inspiration when looking for fresh, new ideas to decorate your home. I love the effect of diffused light from the windows with beautiful muslin’s and linen curtains and how beautiful it looks in the summer months when the windows are thrown open and the sheer panels blow in the gentle breeze. Ahh getting all poetic about summer now. Must be these cold January days. There are many many window dressing options available. I particularly love full length curtains that fall and drape onto the floor. This works just as well on windows that are not full length, it creates the illusion of height especially in a small space. Similarly, people often make the mistake of thinking you must have short curtains on small windows but by taking the curtain above the line of the top of the window and draping to the floor you can create a dramatic, luxury feel to your room that doesn’t actually have to cost the earth. in my first home by the sea, I had huge floor to ceiling windows. I could not find large enough white ready made curtains anywhere, so I asked a dressmaker friend of mine to make me the curtains from white lining material. They were beautiful and lasted for many years. Another option I love, are shutters at windows. A clean, uncluttered stylish look, again there are many companies producing these now in all shapes and sizes and surprisingly affordable. This is so dreamy Karen. What a lovely calming post, I'm converted. I use to have the bedroom in blue but I change it to white because of the same reason fresh and clean. I have the furniture clean natural wood texture too. Love your pictures… heavenly white.